The companion to all L. Ron Hubbard ’s books, lectures and materials. This is the Book of Basics, containing indispensable data you will refer to constantly: the Axioms of Dianetics and Scientology; The Factors; a full compilation of all Scales—more than 150 in all; listings of the Perceptics and Awareness Levels; all Codes and Creeds and much more. The senior laws of existence are condensed into this single volume, distilled from more than 20,000 pages of writings, 3,000 lectures and scores of books. 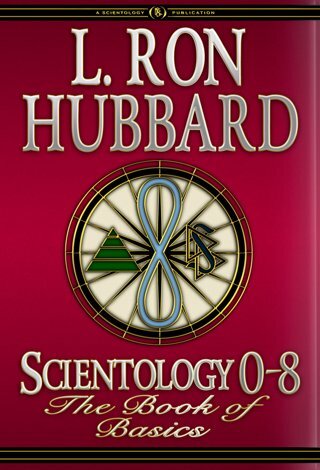 Scientology 0-8: The Book of Basics is the ultimate companion to all Mr. Hubbard’s books, lectures and materials and, indeed, the indispensable reference on Scientology itself. Distilled from over 3,000 lectures, 20,000 pages of writings and the entire library of Dianetics and Scientology books, this single volume contains the senior laws of the mind, spirit and life itself. Scientology 0-8 contains the very fundamentals on which every part of existence turns, on which the route to Total Freedom is built and on which you can attain the full measure of that freedom.